Groundscape Solutions, A Fort Worth Landscaping Company, Planted a Flower bed with Cupcake Miniature Roses. These Roses are light to medium pink and have a double tea shaped bloom with a slight fragrance. Cupcakes bloom late spring to early summer and bloom repeatedly. These roses usually grow in bush form but can be trained to a tree form. Miniature Roses are great for small growth and easy maintenance. 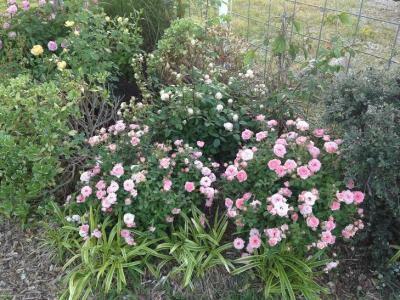 These roses are drought tolerant and great in an Xeriscape environment. Give us a call at 817-759-0102 for a quote. Visit us on our website at www.groundscape.com Groundscape Solutions is a fully insured landscaping company/contractor. Groundscape Solutions will provide references.